ITCHY, SENSITIVE, ADHD, OR AUTISM? My children hated certain kinds of shirts. One needed labels cut out, he could be punished with a frown; and was a very sensitive child who was also ADHD. He also had several allergies. A good book for kids who have food allergies that make them itchy. Food allergies are sometimes the problem when kids are squirmy or moody or hyper. When trying to comfort my sensitive son at bedtime. I read an article in the New York Times, reporting NIMH findings. The report said some babies are so sensitive they needed to be carried on a pillow. Applied to me son it turned out picking him up every fifteen minutes only made his go to sleep crying longer and stronger. When Hubbie finally barred the door so I wouldn’t rush into comfort him, he fell asleep after crying for 20 minutes. This son was hard to hold for wiggling, could not sleep under a blanket because he even wiggled in his sleep and wrapped his blanket up in ways, I thought worrisome. Later when he could climb out of his crib to sneak into our bed, we always woke up almost as soon as he joined us. The other son often inserted himself between us so quietly and slept so peaceful there, we were always surprised to find him there come morning. Two different kids, two different ways of being. Not unlike most kids and that is what makes knowing what might be a problem needed help and what is not. Moreover, the tendency to make parents totally responsible for a child’s well-being clouded the picture for many years. Sadly, it still does. I have been talking and writing about sensory problems for over 20 years, and am still perplexed by many people who do not acknowledge sensory issues and the pain and discomfort they can cause. A person doesn’t have to be on the autism spectrum to be affected by sensory issues. Sensitivity exists on a continuum. Moreover, it varies in many ways. Hubbie is very sensitive to smells and facial expressions; I am sensitive to facial expressions and sounds; but we can both deal. Sensitive children have a harder time dealing, but most learn, many like Temple Grandlin may have greater struggles and may need professional help. Tip one: Every one of us is unique and for some that means we have allergies, for others we have brain glitches, and often the two intertwine. Even the professionals have a hard time knowing what causes what problem. Medicine is both science and art; while, parenting is art and science. Tip two: As a parent you either will be more or less worried about your child’s behavior. Depends in part on your temperament style. If you tend to worry lots you will find yourself marching to your own beat when dealing with some situations. I worry lots, I worried about my sensitive son’s crying far more than my husband. Tip three: Here are some things that will keep worrying in its place. Where is that? As a clue to calm down and investigate. With babies crying is part of the game. Anyone with a colicky baby knows mostly it is a matter of grinning and bearing and waiting it out. With all but extreme disorders–which will be most likely be diagnosed at birth or shortly thereafter, the mantra for parents of new-born is wait and see. That also applies to developmental stages. Two grandsons followed one side of the family’s genetic pool. Both were wiry, active kids and met many physical milestones early. A third grandson has the other side of his family’s genetic pool, he is more chunky and endowed with a big belly. He sat up later, crawled much later, held on more when learning to walk. The older the child and the greater the lag, the more to worry, but with kids under three it is best to wait and see. For those who don’t worry so much, do not immediately rush to calm the worried parent’s fears, you might be denying a problem. When a health provider, child care, provider or teacher says worry, do not rush to defend your child. Extreme behaviors are what this group notices. Tip four: Worry about kindness and cruelty to self and others more than mental health labels. Why? Because being kind matters most in moving self toward the good life. Moreover two and three year olds can be taught kindness as can those who carry mental health labels. Tip five: Strengthen your self-care and self-soothing skills. You cannot be of use to others if you neglect these two skills. Tip six: Here is some more information about sensitivity; Kindergarten & Preschool for Parents & Teachers: ADHD, Autistic or Sensory Processing Disorder?.and some more information about sensitive children. Don’t forget to read Temple Grandlin’s web page if you feel the need to know more. 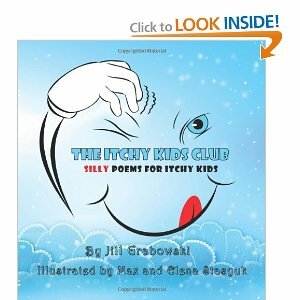 Finally, if your child has allergies,Jill Gabowski’s book will help. Parenting is difficult and often a struggle as you must know by now. You should also know this: you are almost certainly a good enough parent. If you’re having a hard time, my advice is not to ignore that, but also to make sure you take care of yourself. When you stay in charge of your negative feelings, your child/ren will benefit too. I urge you to develop Emotional Fitness Training™ skills and share your success with others. This entry was posted in Parenting Issues and tagged ADHD, Autism, dpchallenge, Katherine Gordy Levine, Parenting advice, Parents Are People Too, Practiicing kindness, Sensitive kids, Thinking about what matters, tips on parenting. Bookmark the permalink.